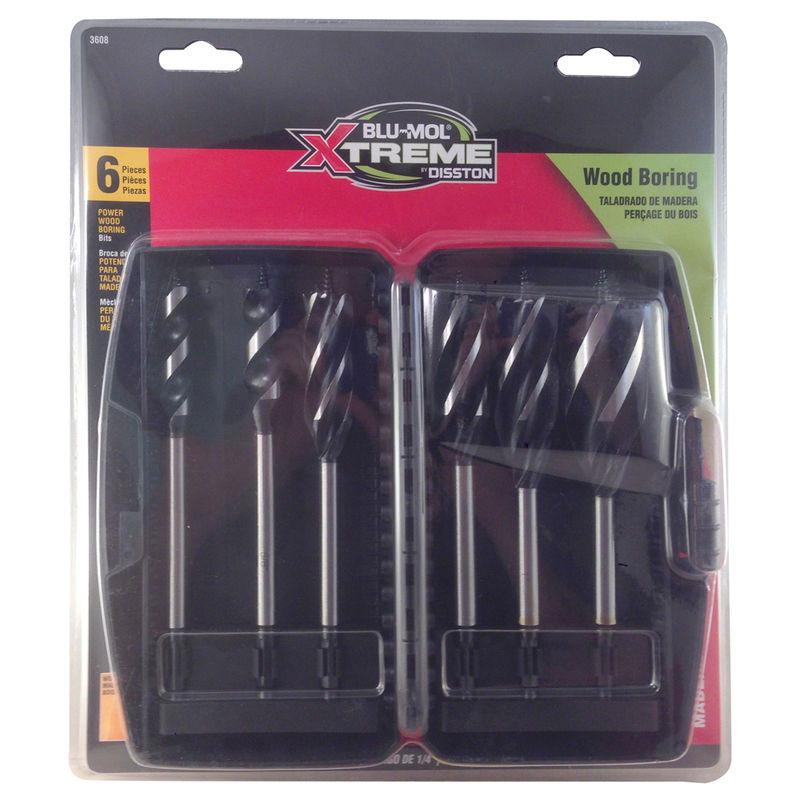 Blu-Mol® Xtreme Power Wood Boring bits are for all general drilling in wood. These bits feature a unique flute design that ensures faster chip ejection. 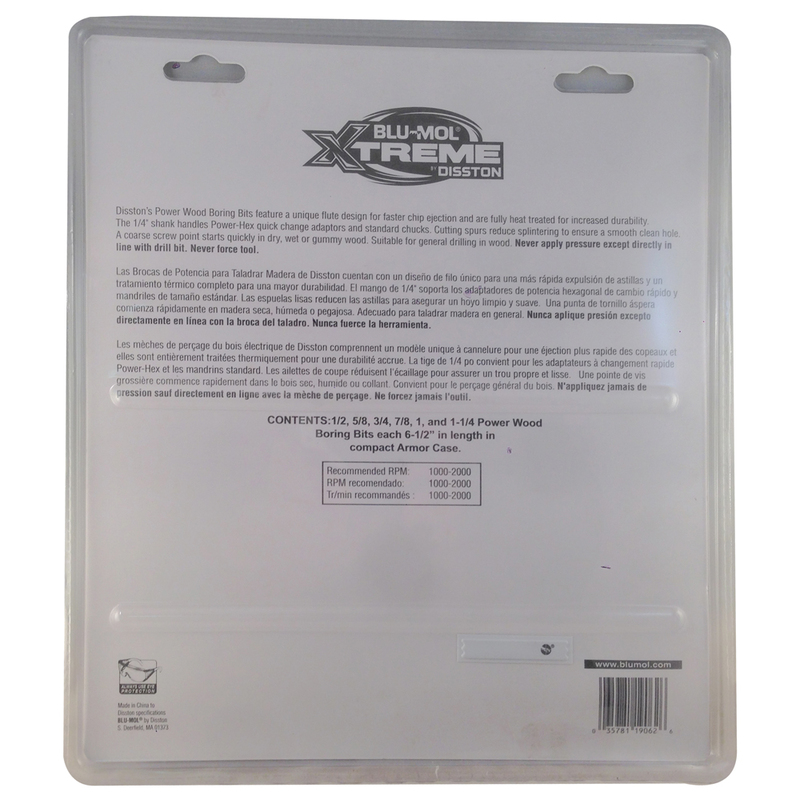 The bits are fully heat treated for increased durability. 1/4″ Quick-change shank makes tool exchange quick when used with 1/4″ quick-change chucks. 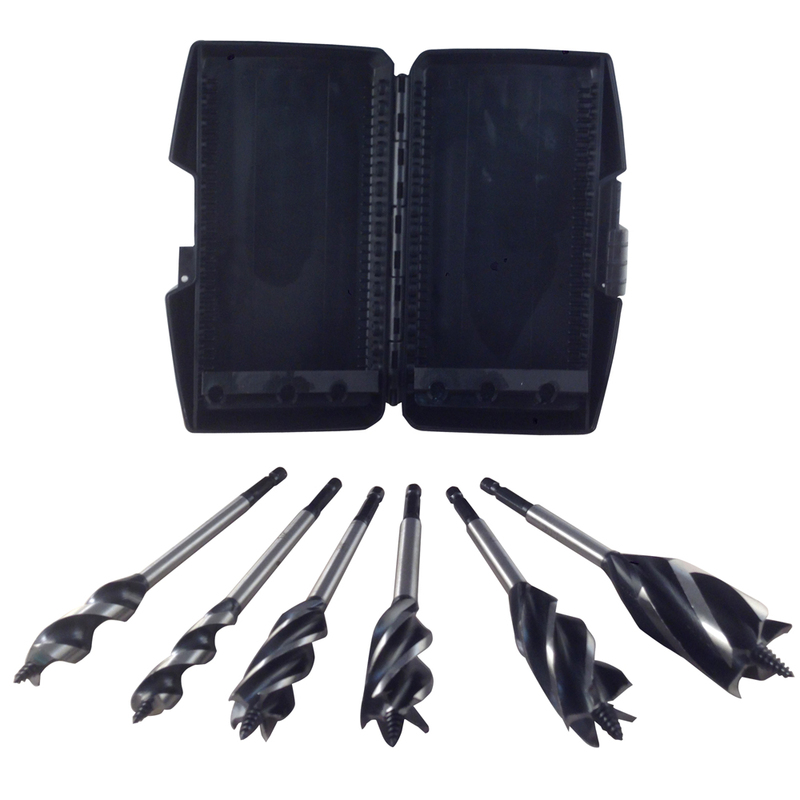 Solid center design for a strong durable tool for drilling. Wide flutes eject wood chips fast. Screw tip pulls the bit into the work piece for fast start and less user force while drilling. Single-spur cutting edge creates a smoother finished hole.